Known as a ‘Rumi’ for our times, join singer/songwriter Kirtana for an evening of musical exploration of the Divine as she performs her contemporary, sacred music for the first time in Tallebudgera Valley. Labelled as, ‘a brilliant poet, marvellous songwriter and lovely guitarist,’ Kirtana’s music conveys the all-permeating truth and love that exists within and surrounds us all. Following the success of her first tour ‘down under’ last year, Kirtana returns to Australia this December, with a special stop-over in the valley for her first-ever concert here. Enchanted with Australia on her inaugural visit, Kirtana in turn captured the hearts of her Australian audiences with her soft, sacred tunes and insightful reflections. Kirtana began playing guitar and writing songs at the age of 11. On a spiritual path from a young age, the music on Kirtana’s six albums reflects her own personal journey and spiritual evolution as her attention shifted from personal transformation and healing, to concern for the planet, to the necessity for awakening to our true nature. Her 1997 meeting with her beloved teacher Gangaji proved to be a pivotal moment in her life with her music expressing the love and self-recognition sparked by that life-altering encounter. Since then Kirtana’s music has been an ever-deepening expression of ‘falling into Self”, or in her words, “a celebration of divine love and the truth of we are“. “To live fully in the moment, to surrender to the divine plan when you can’t possibly know what it is – these are difficult challenges. It helps to know that someone has gone before. 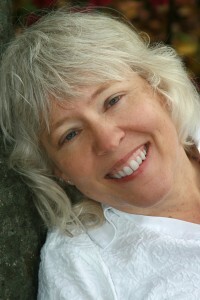 California-based singer/songwriter Kirtana has, with great caring and insight and devotion. With her dusky vocals and gentle guitar work, Kirtana professes necessary truths. “Stop to hear the music in your heart… Surrender to the music”, she besseches on the opening track of her CD, A Deeper Surrender. ‘Do You Hear the Music’ is only one song on the new disc to accept an invititation to the dance of life. “When you asked me if I’d like to dance… I took your hand. I didn’t know where you would dance me to… “, she sings on ‘Open Secret’. It’s all about trust, about being open to the mysteries that can be revealed if only you answer “Yes”. Not that it’s always easy, as ‘The Satguru Song’ indicates. Love can be excruciating as well as exhilarating when it strips you down to pure essence. But are these love songs to the human or the divine? Is there any difference? When you fully experience the here and now, and surrender to it, as she suggests, don’t you sanctify the mundane? Kirtana helps us to dissolve artificial boundaries. With gracious melodies, life-affirming lyrics and spare but lovely acoustic arrangements she leads us to union with nature, spirit and our fellow travelers on this path.” Carol Nuckols, The Star Telegram, Fort Worth, TX. (Click Here for directions) (Take exit 89 from M1 Motorway, turn right at caltex Service station T-intersection traffic lights onto Tallebudgera Creek Rd, the hall is 7.2kms on the left). This entry was posted in Past Event 2012 by kenjacob. Bookmark the permalink.